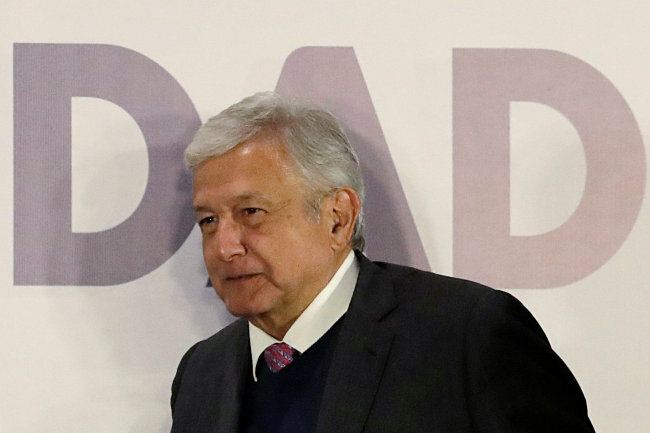 South Korea will send its top diplomat to the inauguration ceremony of new Mexican President Andres Manuel Lopez Obrador next month, Seoul's foreign ministry said Friday. Foreign Minister Kang Kyung-wha will join the ceremony in Mexico City on Dec. 1 and plans to deliver South Korean President Moon Jae-in's handwritten letter to the new leader, which expresses his hope to strengthen bilateral ties, the ministry said. Since the two countries established a "strategic partnership" in 2005, they have deepened cooperation in various areas, including the economy, culture and people-to-people exchanges.